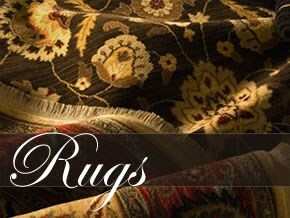 After renovating our home in Landfall, we needed new rugs & carpets to enhance our new remodeled look. We've been delighted with the results achieved working with both of you at Sutton's Rugs & Carpets, Inc. You met all of out expectations for quality and style. Most importantly, you met our budget requirements as well. Your "years of experience" helped us make decisions quickly and confidently. Thank you for the flawless installation and attention to detail. We'll be back again when we have a need for carpet. I wanted to let you know that I loved the rug you made for me. It looks beautiful in our home. Thank you for all your help designing it Hobbs and to Samuel who is polite, gracious and efficient - an asset to your business! Looking forward to doing business with you all again soon. 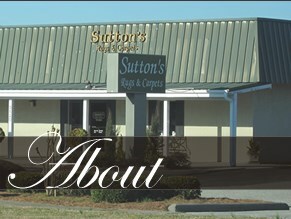 My experience working with Sutton's Rugs and Carpets was an absolute pleasure. 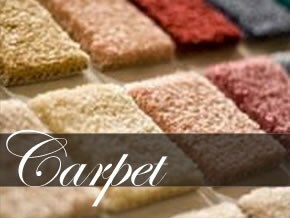 While located out of state in Washington, DC and researching a reputable and reliable carpet vendor in Wilmington, NC to handle a residential project with a fast turn around time, could have been a challenge. Once I contacted Hobbs Sutton there was instant assurance of experience and willingness to assist. Working with Donna in the well appointed showroom to peruse products and selections was delightful. She guided us and narrowed items from their extensive inventory. Both my client and I are very, very pleased with Sutton's Rugs and Carpets. We truly appreciate the personal touch, product knowledge, coordinating our order and installation schedule to fit a very short timeframe. The responsiveness provided was so thorough that it made for a rather seamless task for me. While this was my first time calling upon Hobbs and Donna, it is definitely not my last. I look forward to many future opportunities to work together. Just a quick note to thank you again for your marvelous response to our rug predicament in the last few weeks. Your efforts to get my mother's rug picked up, trimmed down and cleaned in record time was above and beyond the call of duty. It is now safely ensconced in her new home at Rosecrest and it really does make her new digs look like HOME, just as we had hoped. We are most grateful.